O’ Money Ain’t For Nothing! 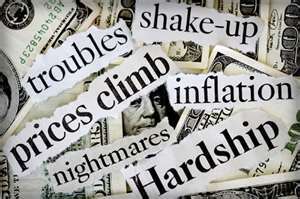 I think it is safe to say that most of us have been hit by this recession in one way or another. For those of us who have been fortunate enough to have our jobs in tact, our money isn’t going any further and with inflation we might be trying to cut back on some of our expenses. Maybe we hold off on certain unnecessary purchases. It might mean we may not go out to eat as often and take fewer vacations. We may be cutting out more coupons in the newspaper or watching for Groupon specials. We might even stretch out the number of times we get our hair cut, go to the movies, or take the kids to the toy store. But for the unfortunate ones that have been hit the most, this might mean the loss of a job, living on one income instead of two or possibly with no income at all. They might be eating more rice and beans than hamburger or chicken. Perhaps they’ve been forced to play “Go Fish” when it comes to paying their bills. They are unable to afford new clothes for the children, let alone buy new toys. And like so many today, they may be upside-down with their mortgage, which in the state of California is hovering over 44%. They may have had to move in with a close family member or friend when the bank decided to foreclose on their house. Whether it is a relative, neighbor or friend, at this point we all know someone that has been affected by this extended economic downturn. And as it rolls over from one year to the next, it can be inspiring to watch the fortitude and resourcefulness for which through the ages has strengthened our fellow man around the globe. Take for instance a certain Irishman in the city of Dublin. As we all know Ireland has had its share of financial woes throughout the years or perhaps even for centuries. They did have a slight glimpse of economic sunshine during the 1990’s until its intensity dimmed during the world monetary banking crisis that started in 2008. What did this unemployed Irish artist do when push came to shove? Well, what would any unemployed creative person do? Frank Buckley had originally wanted to create a gallery for his mixed-media artwork called “Expressions of Recession”, but he ended up building a house instead. What would you do if someone handed you $1.4 billion euro dollars? In Ireland, people build houses out of it. It seems that Ireland’s mint has lent their shredded money to Mr. Buckley. And for roughly 12 hours a day, every day since the beginning of December, he has been fast at work laying 50,000 decommissioned Irish Euro bricks into the construction of his house that contains a bedroom, bath, and living room. He plans to continue expanding the house that sits in the lobby of an empty office building to include a kitchen, shower, and patio. If you’re wondering how it feels to live in a house made out of paper currency, this Irish artist said that it’s quite warm inside: “Whatever you say about the Euro, it’s a great insulator.” Mr. Buckley is one of countless amount people from all over the world that have been affected by this recession. It will take about two more months to complete the building of his new home, but Frank Buckley welcomes any visitor who wants to take a look at his billion-dollar masterpiece. So what do you think? If you were to go through an economic crisis, would you have been that ingenious? As an artist, what would you do to make a statement about your predicament? Are there some fun ideas that you and your family or friends have found while helping to cut back on expenses that you would like to share? Now if I may I would like to change the subject. I finally have the results from the drawing at Diane Capri’s launch day party for “Don’t Know Jack!” Thanks for your patience. It took some time, but I worked Diane over for extra prizes and I think all of you will be pleased! First, we have five winners from the first day of the drawing! These five winners will receive a FREE Kindle copy of “Don’t Know Jack”! But that’s not all. You will also receive a FREE Kindle copy of EITHER Lee Child’s “Killing Floor” OR Lee Child’s “Bad Luck and Trouble.” In order for you to receive your prize, you will need to leave your email address at Diane Capri’s website, http://dianecapri.com/contact/ . And don’t worry if you don’t have a Kindle because Diane can help you convert her books to a format of your choice. See, I told you it would be good! You not only receive one book, but two FREE books! The winner’s of the prize for naming a character in Diane Capri’s new book in the “Hunt for Reacher” series “Get Jack Back” are Fabio Bueno and Lynn Kelley! 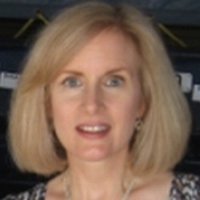 Diane will contact you both to finalize your choices. Now wasn’t this exciting? I love it when everyone comes out a winner!!!! 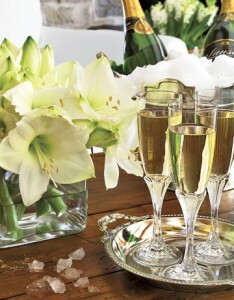 Congratulations to all and thank you for making Diane Capri’s launch day of “Don’t Know Jack” a memorable one! This entry was posted in Blog Post and tagged Diane Capri, Don't Know Jack, Dublin, Frank Buckley, Hunt for Reacher, Ireland, Karen McFarland on February 15, 2012 by Karen. I must say it gives me great pleasure for the privilege of having Diane Capri here as my guest today. But if you noticed, this is no ordinary Guest Post. No, this time we’re doing an interview. My very first interview—ever. Shivers! Why me? I have no idea. That’s what I get for asking. Diane Capri is not new to the publishing scene. She has written both fiction and nonfiction in several languages besides being the author of six best selling suspense novels, all written with expertise that shines on every page with intense legal drama alongside courtroom overtones and thrilling twisty plots. KM: First of all, are you comfortable Diane? DC: Yes, thank you Karen, I’m quite comfortable. KM: Are you sure? Because it seems really warm in here to me for some reason. DC: Karen, are you okay? You seem a little nervous. Take a deep breath, it’s going to be okay. KM: Oh Diane, don’t be silly. Me…nervous? Why would you say that? DC: Well, your face looks flush and you seem to be perspiring. KM: Oh that. Ha, ha, ha. That’s just a hot flash Diane. Don’t worry, it will pass. DC: Are you sure about that? KM: Okay, you caught me. Yes, I’m nervous Diane. But I think we should get started, don’t you? DC: Whenever you’re ready, I’m ready. I have to say that you’ve done a beautiful job putting this together Karen. All the flowers and the Champagne. You really didn’t have to go to all this trouble. KM: Oh it was no trouble at all Diane. In fact, I thought it was the least I could do this being a celebration of a wonderful event! Should we tell them? DC: Why of course, go right ahead. DC: That’s right Karen. Three years of hard work flies by fast, and here we are! KM: We also have something special that we want to share with you, the audience today. Should we tell them now Diane? DC: Why don’t we wait until the end of the interview and surprise them. KM: Spoken like a true mystery writer Diane. Okay you guys, I tried, but you’ll just have to wait! KM: Diane, why don’t you tell us a little bit about yourself. I read somewhere that you are a snowbird. That sounds rather migratory—all that flying back and forth stuff. What part of the world would your two feet be solidly planted now and what brought you there, well, besides snow? DC: Right at the moment, I’m in Florida. Anywhere north of here is a bit too chilly for me in February. Love to hang in the Sunshine State. KM: I understand that you are a lawyer in recovery, is that correct? KM: What type of Law do you practice, if you don’t mind me asking? DC: Civil litigation. Lawsuits. Everything that’s not criminal. Or at least, cases not proceeding in criminal courts. The sorts of cases I write about in my fiction. KM: That sounds interesting. 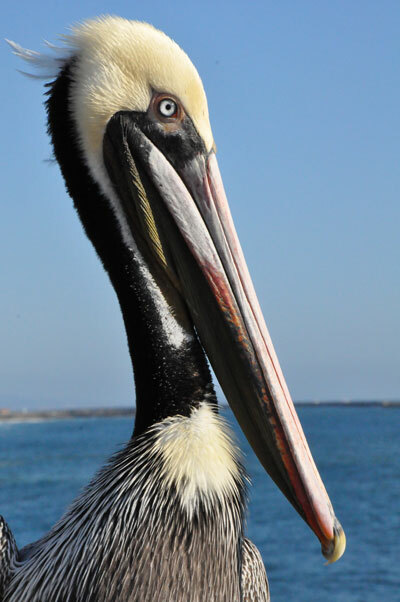 I can see where your background certainly gave you a great advantage when it came to writing the Judge Wilhelmina Carson Series and the Attorney Jennifer Lanes Cases. DC: Yes, most of my books were inspired by something I worked on as a lawyer. Fiction gives me the chance to change the facts and create better outcomes for those cases, though. KM: Since you started off practicing law as your profession, when was it that you started to write? KM: When did you decide it was time to start a new career and how long did this take you? I ask this question because so many new novelists have a hard time making the transition from their day job to supporting themselves by writing full time. DC: Well, I’ll let you know when I get to the point of replacing my legal income through writing fiction. *laughs* But Sue Grafton once told me the secret to this was to “write your way out.” She meant that we should write and sell and write some more until we can pay the bills with writing. In her case, she said it took five years and she started from screenwriting in Hollywood, so she didn’t have as steep a learning curve. It takes a good long while to learn the fiction craft and then sell something and then build an audience. In my case, it took me three years to write my first published novel, Carly’s Conspiracy, writing nights and weekends. And another two years to get it sold and published. Six novels and two non-fiction books and many words later, here we are. KM: Well, we’re glad you’re making the transition Diane! I’d like to take a minute to read a few remarks that have been said about your talented writing and your gripping, suspenseful novels, if I may? Margaret Maron, Edgar, Anthony, Agatha and Macavity Award Winning MWA past President. KM: Hmm… Lee Child, Lee Child, Lee Child… That name does have a familiar ring to it. Would this be THE Lee Child that has written all those Jack Reacher novels? I think there are 16 if I’ve counted correctly. DC: *smiles* Yes, that’s right. KM: Okay, let me get this straight Diane. You know Lee Child? 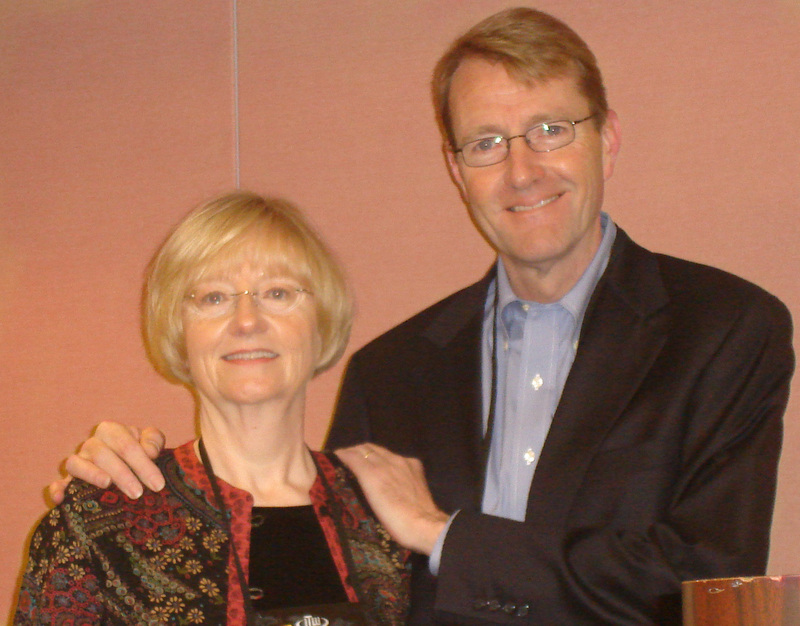 Lee Child, the #1 New York Times Best Selling Author of Mystery/Suspense/Thriller Novels? That Lee Child? KM: You mean your new suspense novel “Don’t Know Jack” has something to do with Jack Reacher? KM: Oh, do I ever feel a story brewing here. But before I ask you my next question, might you give us some background information about this Jack Reacher character just in case someone in our audience is not familiar with him? DC: *laughs* Seriously? Well, more than 50 million copies of Reacher’s exploits have been sold world-wide. But just in case, Jack Reacher is sort of a modern day Lone Ranger, Travis McGee, and Sir Lancelot, all rolled into one! He’s got brawn to spare and brains aplenty. He’s a tough guy who does whatever it takes. Someone we’d all want on our side when trouble finds us. KM: Oh, for a moment there Diane I thought you were describing my husband! LOL! But seriously, please do tell. What is your connection with Lee Child? And how did this all come about? DC: Not much of a mystery here. The writing community is fairly small and most of us know each other. The internet makes that easier — which is how I met you. *grins* But in the case of Lee Child, we’ve been friends for a long time. We worked together on the board of International Thriller Writers, too. KM: So, can you give us a teensy weensy idea what “Don’t Know Jack” is about? Jack Reacher, is he a Friend or Enemy? It’s been quite a while since we first met Lee Child’s Jack Reacher in Killing Floor. Fifteen years and sixteen novels later, Reacher still lives off the grid, until trouble finds him, and then he does whatever it takes, much to the delight of readers and the dismay of villains. Now someone big is looking for him. Who? And why? Hunting Jack Reacher is a dangerous business, as FBI Special Agents Kim Otto and Carlos Gaspar are about to find out. Otto and Gaspar are by-the-book hunters who know when it’s necessary to break the rules; Reacher is a stone cold killer. But they Don’t Know Jack. Is he their friend or their enemy? Only the secrets hidden in Margrave, Georgia will tell them. KM: That sounds so intriguing! Now you’ve peaked our interest Diane! KM: Ha, ha, ha, your funny Diane. A few million of my closest friends? One could only hope! But I’m making them as fast as I can Diane and I hope they’ll all run out to buy your new book! DC: Sounds good to me Karen! KM: So may I ask, who is your favorite character in the novel and why? KM: What did you enjoy most about writing this book? DC: The task was quite a challenge from the outset, and I love a good challenge. The series is about “the rest of the story,” or what happens after Reacher leaves town. In this first book, Otto and Gaspar are introduced as members of an elite FBI task force, reporting to a mysterious Big Guy. They’re called out in the wee hours of the morning and sent on a secret assignment to Margrave, Georgia, the first place Jack Reacher surfaced after he was discharged from the army. They’re told to “build the Reacher file” from his army days to the present, but they don’t know why and they don’t know what they’re supposed to find out. One of the writing challenges was to reveal what Reacher fans already knew to Otto and Gaspar in an interesting, suspenseful way, without cheating new readers who would be coming to the Reacher cannon for the first time. It was fun to make that work. KM: How long will we have to wait before we can expect another novel from your “Hunt for Reacher” series? DC: Slave driver! *laughs* I’m writing as fast as I can! Readers can sign up for my mailing list to get announcements along the way. I’m doing my best to finish and I’m sure it won’t take me three years! KM: Oops, sorry, I have been known to be a slave driver! LOL! But since I’ve already read “Don’t Know Jack” , I can only say Diane that I hope it isn’t too long! It was a fantastic read and kept me turning the page on my new Kindle! DC: Why thank you very much Karen. I love those words coming from readers! I can only hope that everyone will feel the same way. KM: Well Diane, since it is the end of our interview, can we tell them what we’d like to do to make this launch of “Don’t Know Jack” more memorable? DC: You go right ahead Karen. KM: Okay, let’s do this. And just so you know, I’ve been working Diane over so we have all sorts of goodies in store for you today! First of all, there’s more than one way to win! For everyone that leaves a comment here today, your name will be drawn out of a hat and the winner will receive a free copy of “Don’t Know Jack”! Also, if you ping-back to this blog from your blog, your name will be added to the hat. Incidentally, your name can be entered more than once and there will be multiple winners! Km: How does that sound? DC: Sounds great to me Karen! KM: This is so exciting Diane! I can’t thank you enough for taking the time to hop over to my blog today to share the launch of your new novel “Don’t Know Jack” with us! DC: Thank you Karen and a big thanks to everyone who dropped by to help make this a wonderful book launch for “Don’t Know Jack”! I hope you’ll all enjoy it! It was great fun! To make this the most memorable launch day for Diane guys, let’s all go out into the Twitterverse and Tweet our big hearts out, shall we? 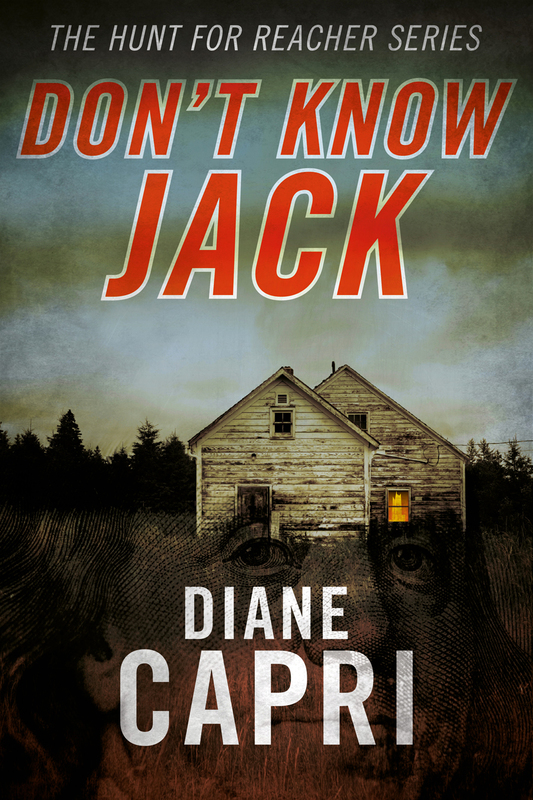 Let’s announce to all our followers to check out Diane Capri’s fantastic new book, “Don’t Know Jack”!! So what do you think? Do you like to read Mystery/Suspense? Are you a Jack Reacher fan? Are there any questions that you would like to ask Diane about her new book before she leaves? This entry was posted in Blog Post and tagged Diane Capri, Don't Know Jack, Hunt for Reacher, Jack Reacher, Karen McFarland, Lee Child on February 1, 2012 by Karen.